Mind you, this was like numero 10 on the midnight toaster-oven bake series, for no other reason except I had to finally test this. 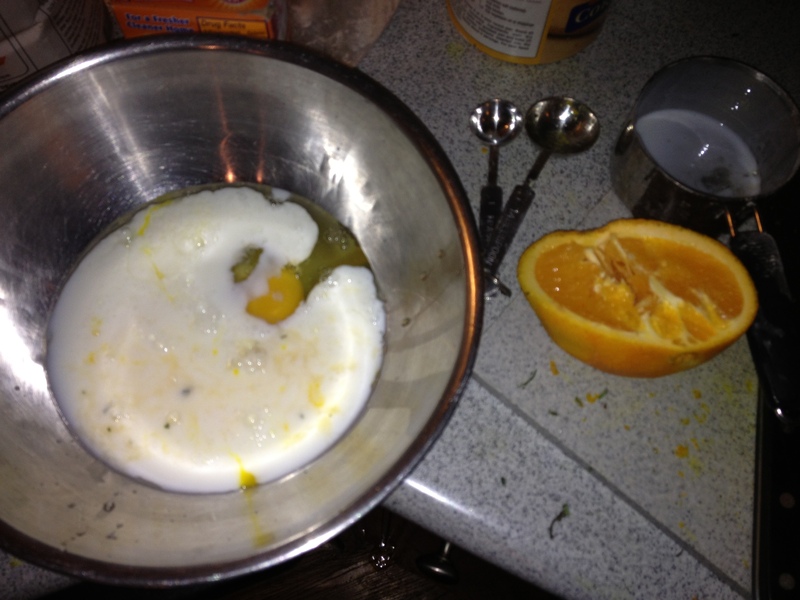 And I FINALLY had an orange lying around. Maybe even if you want some natural potpourri this would be a good thing to make. My favorite part of these kinds of recipes is when you make the flavored sugar. 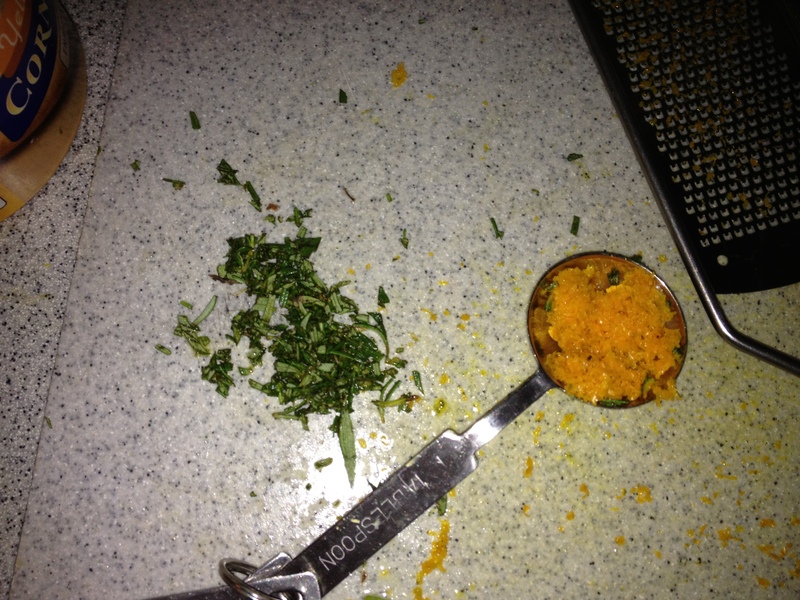 You press the orange zest and rosemary into the sugar and it brings out the natural oils/essence in the fruit and herbs. 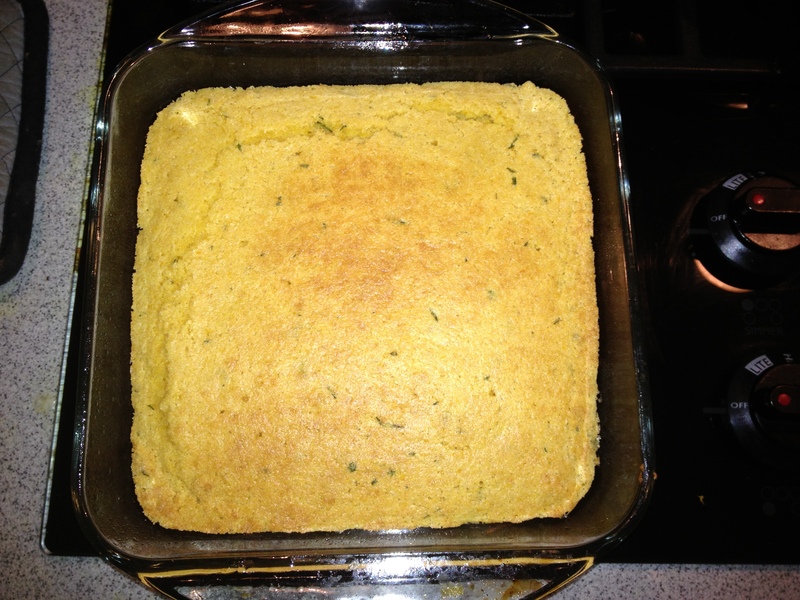 A simple mix of wet and dry, this cornbread is simple yet seems pretty sophisticated right? Maybe this is meant alongside chili, but I liked it with a cup of milk or just as a regular piece of bread with my lunch. 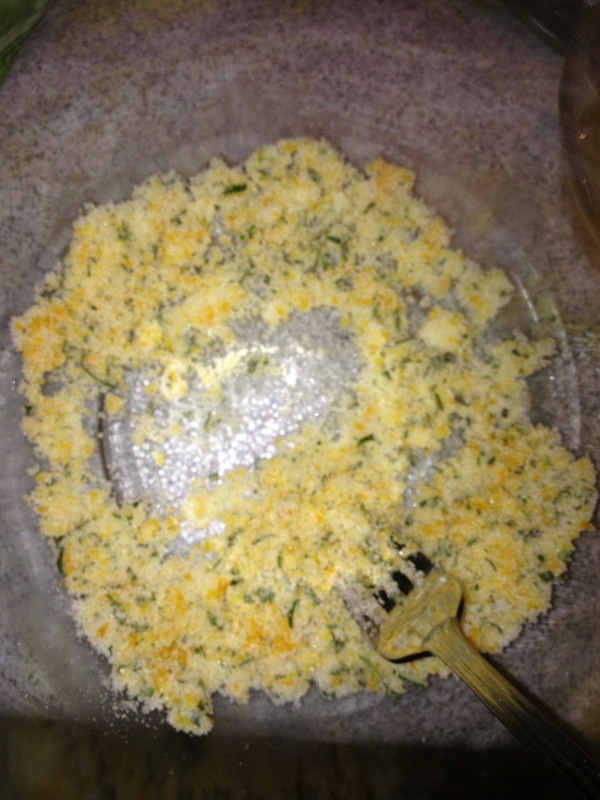 What recipes do you like to vary? 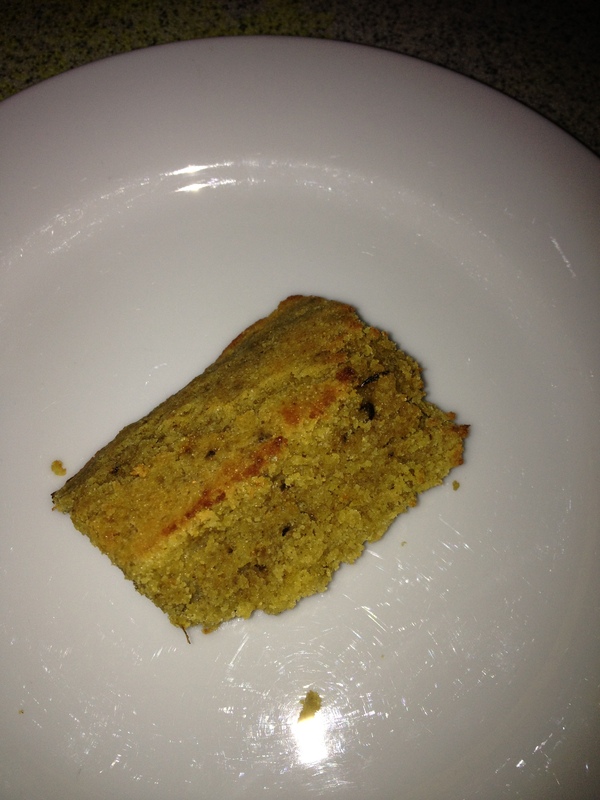 My friends Collin and Mike came over on Monday and Mike brought an AMAZZINNGG mouthwatering, sweet, dense cornbread (see meal pics at the bottom). Chili and cornbread can’t be beat. 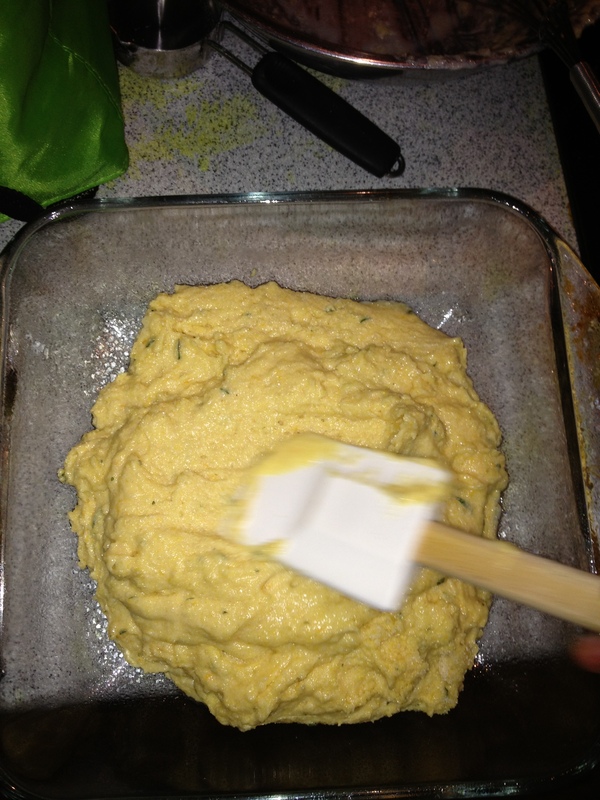 This weekend I’m making white chicken chili…got any recipe suggestions? 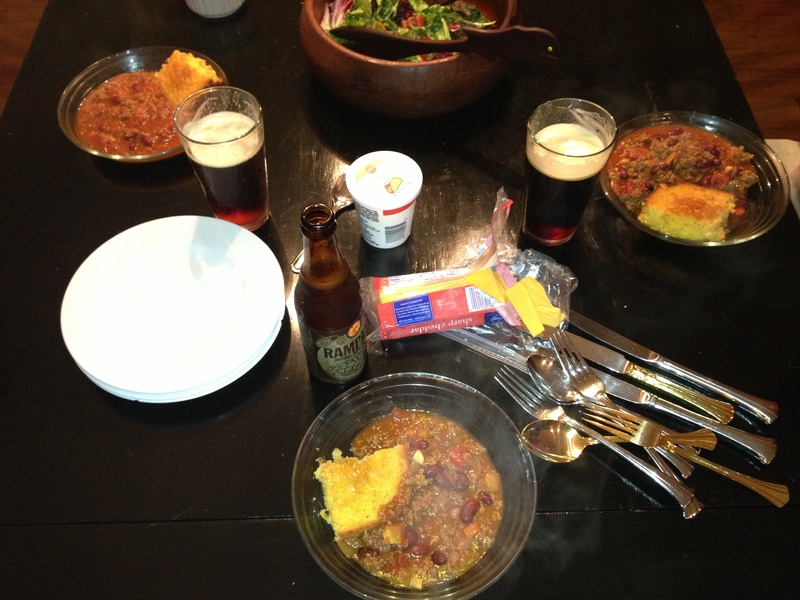 chili and a different cornbread that’s classic and amazing…thanks Mike!